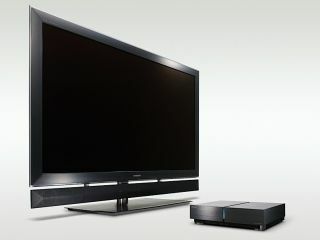 Toshiba has followed in the footsteps of Sony and JVC by announcing a partnership with RealD for its 3D TVs. The manufacturer will co-operate with RealD to bring 3D technology to its REGZA full HD television in 2010. "Toshiba plans to introduce 3D into our REGZA line-up of Full-HD LCD TVs in 2010, and we are delighted to work with RealD, the clear leader in the industry," said Masaaki Osumi, President and CEO, Digital Media Network Company, Toshiba Corporation. "Home viewing is fast moving toward the total immersion offered by 3D, and Toshiba is determined to be in the vanguard in delivering this experience." "3D is opening new opportunities for home entertainment and we look forward to collaborating with Toshiba to bring an unmatched 3D experience to their products," said Michael V. Lewis, Chairman and CEO of RealD. "RealD 3D technology has revolutionized cinema and the RealD Format promises to deliver a similar premium entertainment experience to the home utilizing today's existing HD infrastructure."